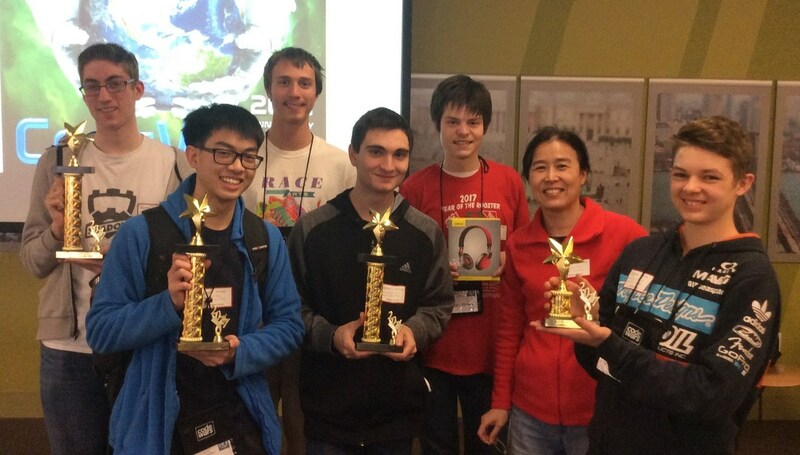 At the 20th annual HP Code Wars competition held at the company’s Roseville campus on March 4th, WSCA took 1st place in the novice division. 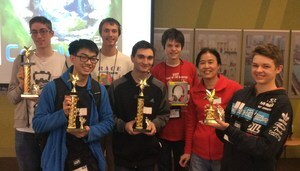 Winning programmers Apostolos Delis, Jarod Heng, and Jordan Osterberg faced a wide range of high-tech challenges and competed with 66 teams consisting of 179 students. Western Sierra students Isaac Koerner, Matthew Pilawa, and Elijah Sherratt also participated in the event. In the annual competition, teams of three students demonstrate their programming abilities over three hours, working to solve 20 high-tech problems. This year Hewlett-Packard hosted four such competitions in the United States. The Roseville campus was the only California location. The competition is a high energy event with music, food, and exciting door prizes including computers, monitors, software, and accessories. Code Wars trophies went to first, second, and third place teams.